Augusta drivers know that if their air conditioning system isn’t making cool air like it used to, there is a problem. It may be as simple as adding more of the right kind of refrigerant. An air conditioning inspection at C & C Automotive will uncover any potential problems and identify any necessary repairs needed to get Augusta drivers on the road to cool air once again. Working up a sweat is a great thing to do in a gym around Augusta, but not in your vehicle. When Augusta residents' vehicle AC Systems have a problem, they'll often feel it right away. The question is, how long do you put up with it? You know, the old comfort versus cost dilemma. But a more comfortable drive around Georgia has a lot of benefits, and keeping the AC System well maintained can help prevent repairs. A common cause of AC failure is water and air in the system. The system does not work as well with air in it. And water can cause rust that leads to damage of the A/C components. Also refrigerant, the stuff that makes the air cold, can leak out, reducing the efficiency of the system and making it work harder to try to cool the air. That is why periodically evacuating the air conditioning system and recharging it keeps the proper amount of clean refrigerant in the system for Augusta residents, so it cools better and lasts longer. Augusta drivers should also run the air conditioner regularly, even in the winter, so that it lubricates itself and keeps the seals from drying out. The seals can crack and that leads to leaks. Your vehicle's owner's manual will have recommendations for how often to service your air conditioner. Some service centers also have this information as part of their computer databases. Your friendly and knowledgeable C & C Automotive service advisor can give you more information. Your auto air conditioning system cools and conditions the air in your passenger compartment when you are driving around Augusta. It also removes moisture from the air to keep your windows from fogging up. A common A/C problem for Augusta drivers that visit C & C Automotive is contaminated refrigerant (the gas that cools the air). The inside of the A/C hoses deteriorates over time and tiny fragments of rubber clog passages. This makes the system less efficient and overworks various components. Ask your C & C Automotive service advisor for an air conditioning system inspection to make sure everything is up to spec. Environmental laws in some around Augusta require leaks to be repaired before refrigerant can be added. Also some parts manufacturers require other components to be replaced along with certain failed parts in order to maintain the new part warranty. This is because a given failure may be the result of another worn or damaged part that will, if not replaced, prematurely damage the new component. C & C Automotive in Augusta is fully equipped to restore your flow of cool air. Most Georgia auto owners know that their vehicles need regular preventive maintenance like changing the oil and filters, rotating the tires and refilling the washer fluid. But did you know that your air conditioning system needs routine maintenance as well? Taking care of your air conditioning system can extend its life and prevent costly repair bills. Why is it important for Augusta area drivers to get routine maintenance on their air conditioning system? First, the refrigerant contains an added lubricant. As the refrigerant circulates through the air conditioning system, its parts are lubricated. This constant lubrication keeps the parts functioning well. But over time, this lubricant is used up, and without it, the parts will eventually seize up and fail. Augusta folks should understand, however, that the air conditioner will continue to pump out cool air even without the lubricant, so you won't know the system is sick until it actually dies. So good vehicle care includes regularly checking the refrigerant and lubricant in your vehicle air conditioning system and replacing it if needed. The second reason your air conditioning system needs preventive maintenance is that air and water can get into the system. Air, water and the contaminants they contain will reduce the efficiency of the air conditioning system and can cause corrosion of the system's parts. Keeping the air conditioning system clean is a practice that will extend its life and keep you from losing your cool on hot Augusta days. Here's a good piece of advice from C & C Automotive for Georgia vehicle owners that will extend the life of their air conditioning systems: You should run your air conditioner in the winter every once in a while. This circulates the refrigerant, which lubricates the seals. That way, they won't dry out during cold Augusta weather. Most Augusta drivers worry about a breakdown or a tire blowout on a busy Georgia highway, but don't worry too much about failure of their air conditioning system. A breakdown on the side of the road can be a miserable and dangerous affair during Augusta rush hour, but so can a long ride in a hot vehicle. 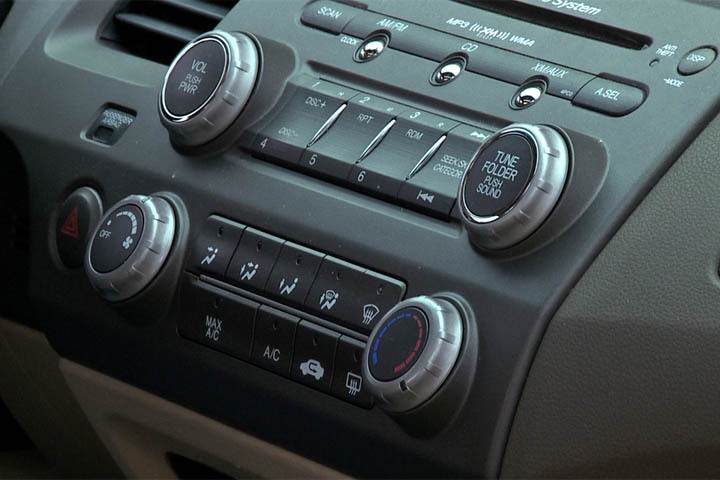 A lot of Augusta drivers judge their vehicles' air conditioning systems as “non-essential” and so may neglect them in favor of repairs and maintenance that keep the vehicle running. But preventive maintenance of an air conditioning system is simple and inexpensive, while auto a/c repair can be very expensive. Augusta drivers should have the refrigerant in their air conditioning system checked regularly to ensure it is adequate and clean. Air conditioning systems often fail because air and water have contaminated the refrigerant. Air reduces the efficiency of the refrigerant, and water can cause rusting of the system's components. If your refrigerant is contaminated, the system should be evacuated and recharged. This will actually extend the life of your air conditioning system, preventing repairs, and keep it at peak performance. At C & C Automotive, we advise our Augusta customers to run their air conditioner periodically in the winter. This will keep the seals from drying out and cracking, saving them the inconvenience of this relatively minor repair. Check with your vehicle owner's manual or with your friendly service advisor at C & C Automotive for information about how often your vehicle air conditioning system should be serviced. Hey Augusta! Let's talk about one of our Georgia summertime must-haves: your car A/C. It's real easy for Augusta drivers to take their car's air conditioner for granted. Just push the right buttons and out comes cool, dry, clean air. But your air conditioning system needs attention from time to time to help it keep its cool. Do you hear loud noises under the hood when you turn on your air conditioner? Do you only get cool air sporadically? If so, it is time to get your air conditioner checked at C & C Automotive in Augusta. When most Augusta folks hear the words "air conditioning problems." it sends a shiver up their spine. That is because the air conditioning system is fairly complex. It has a lot of parts and when it's broken, it's hard to repair. What things can Augusta drivers do to prevent air conditioning breakdowns? Augusta drivers should run their air conditioner regularly, even during a Georgia winter, so that it lubricates itself and keeps the seals from drying out, which leads to leaks. Your owner's manual will have recommendations for how often to service your air conditioner. Of course, if it's not working right, now is the time to get it checked. The team at C & C Automotive in Augusta can inspect and test your air conditioning and offer evacuation and recharge services. This helps you avoid repairs. Warm weather or cold, Augusta drivers still need to think about their vehicle's air conditioning. Most Augusta people don't service their air conditioning until after it fails. At C & C Automotive, we can advise you on your vehicle manufacturers preventive maintenance schedules for air conditioning service, just as we do for transmission service, oil changes and so on. Maintaining your air conditioning system means that you always have enough refrigerant to properly do the job. Small leaks in the vehicle's air conditioning system allow the refrigerant to escape and the system can't cool the air as well. We see that a lot at C & C Automotive in Augusta. The refrigerant also contains oil that lubricates air conditioning components and keeps the seals resilient. Low refrigerant and lubricating oil means that the air conditioning parts will wear out prematurely, and all Augusta vehicle owners know that air conditioning repairs can be costly. At C & C Automotive, we recommended that the air conditioner be run regularly, even during winter months, to keep the parts and seals lubricated. Augusta drivers need to be aware that there's one more thing that isn't directly related to air conditioning service but does impact the quality of the air in your vehicle. And that's your cabin air filter. This filter cleans dust, pollen, pollution and other impurities in the air that come from the heater and air conditioner. The cabin air filter needs to be replaced when it's dirty. If you don't, it'll start to smell. Not all vehicles have one, so ask your C & C Automotive service advisor to check your cabin air filter at the same time they're doing your air conditioning service. Most Augusta drivers don't even think about their air conditioner. Now here's a tip for Augusta vehicle owners: Run your air conditioner every so often during Georgia winters. This circulates the lubricant to help keep the seals from drying out. The air conditioner actually removes some of the moisture in the air. So if you have trouble with fogging on your vehicle windshield during Georgia winters or during a rain storm, running the A/C on the defrost setting should help. Now on some Augusta cars you can't run the A/C at the same time as the defroster. Don't ask me why, but I suspect lawyers were involved. Also, air and water can get into the A/C system. That can reduce the efficiency of the system and also lead to corrosion that causes damage. Augusta drivers should periodically purge the system and replace the refrigerant to remove the air and water. Georgia drivers would be wise to learn the early warning signs of A/C trouble: 1) The air's not as cold as it used to be. 2) It makes unusual noises when the A/C cycles on. Those are signs to get your vehicle into C & C Automotive in Augusta before the damage gets worse. By following the recommended service intervals in your vehicle owner's manual, you can help prevent mechanical failure of your air conditioning system. Your A/C system contains some components like the compressor, condenser, dryer, etc. Anything Augusta car owners can do to lengthen the life of their A/C is well worth it.